Starting this year all knights and dames should be receiving monthly reflection materials from the Federal Association Spirituality Committee to help members of the Order of Malta respond to the Lord’s call to enter into a deeper relationship with God. The Spirituality Committee has designed the materials to be used either individually or in groups of knights and dames praying and reflecting together. 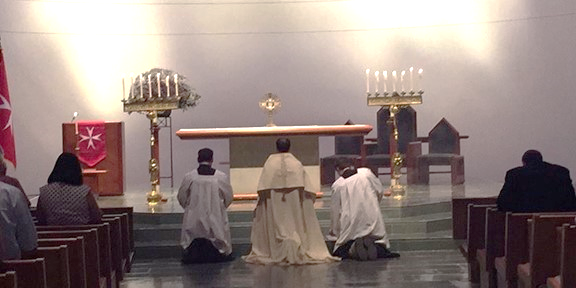 Since 2015, the Houston Region of the Federal Association has held a monthly First Monday Holy Hour consisting of Adoration of the Blessed Sacrament and Benediction with Vespers, which is then followed by a light reception. Starting this year, the Rev. Luke Millette, magistral chaplain of the Order, has incorporated his reflections on the monthly materials into the Holy Hour. During the reception afterward, members further share their own reflections with each other. 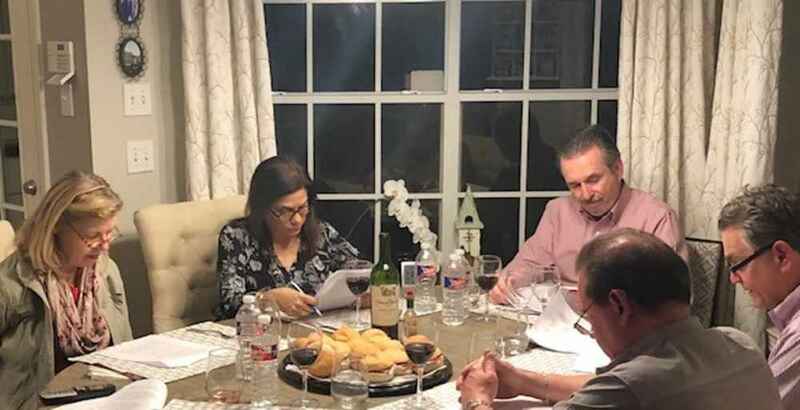 Additionally, the first Small Order of Malta Study Group has been formed in West Houston to build on Father Millette’s introduction of each month’s materials. Consisting of nine participants, the limited size of the group is conducive to sharing of personal spiritual reflections and experiences with the Order. The format involves meeting in different member’s homes mid-week each month at for a light supper, followed by an hour of prayer and reflection. The Spirituality Committee has published a “How to Use the Monthly Materials” guide to facilitate use of prayer and reflection. In Houston, the use of the materials both during the Holy Hour and in the small group setting has been well received and proven beneficial, according to those attending.